Jan. 29, 2015 -- The Military Compensation and Retirement Modernization Commission (MCRMC) released its final report Jan. 29. 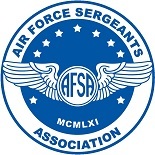 AFSA now begins the arduous process of evaluating their recommendations so we can advise lawmakers and the Administration of their potential impact on the All-Volunteer Force. The National Defense Authorization Act for Fiscal Year 2013 established the commission to review military compensation and retirement programs and make recommendations for their modernization to the President and Congress. The commission’s stated purpose were to ensure the long-term health of the all-volunteer force, provide for a high quality-of-life for the members of the Uniformed Forces and their families, and make sure that the compensation and retirement programs are financially sustainable. 1. Replace the existing pay and retirement system for future service members with a blended plan consisting of direct pay, thrift savings and continuation pays. Current service members would be allowed to opt-in but participation is not mandatory. 2. Offer an additional way for military members to provide for their survivors (self-funded). 3. Provide financial literacy training for service members at various points throughout their careers. 4. Consolidate 30 Reserve component statuses in to six broader areas. 5. Create a new, joint readiness command which would, among other things, oversee military healthcare programs. 6. Eliminate TRICARE and replace with a Federal Employee Health Benefits Plan Program for active duty family members, military retirees under age 65, their dependents and survivors. TRICARE for Life would remain unchanged. 7. Improve support for service members with special needs family members by aligning services offered through Extended Care Health Option to match Medicare waiver options. 8. Improve cooperation between DoD and VA.
9. Consolidate base exchanges and commissaries into a single retail entity. 10. Improve access to Child Care on military installations. 11. Eliminate the Active Duty MGIB and Reserve Education Assistance Program (REAP), restrict Post 9/11 GI Bill transferability of benefit options to members with at least 10 years of service, apply an active duty service commitment if they do and eliminate the housing stipend for family members. 12. Improve transition counseling, job hunting assistance for separating service members. 13. Ensure service members can receive financial assistance to meet their families’ nutritional needs. 14. Expand Space A travel to dependents when a service member is deployed for 30 or more days. 15. Implement a national military student identifier to help track the impact of military life on military children. You can view the report in its entirety www.mcrmc.gov or download the report below. On their face, some of these recommendations may be upsetting to our members but it is important to remember that the MCRMC findings are exactly that, recommendations, not legislation and there are no actionable bills pending in Congress that would allow these changes to become law. We need time to carefully evaluate the findings and recommendations of the MCRMC. The Commission has been at work for nearly two years and the Administration has 60 days to evaluate the findings and make their own recommendations to Congress that will be vetted in Congress. AFSA will be doing the same. Rest assured, we cannot, and will not support reforms that devalue the compensation and benefits needed to sustain the all-volunteer force or those that negatively impact recruiting, retention, and the service’s overall readiness. · Keep up the fight for long-standing initiatives on SBC/DIC and concurrent receipt. We will post updates via our website and social media as we go through this process.